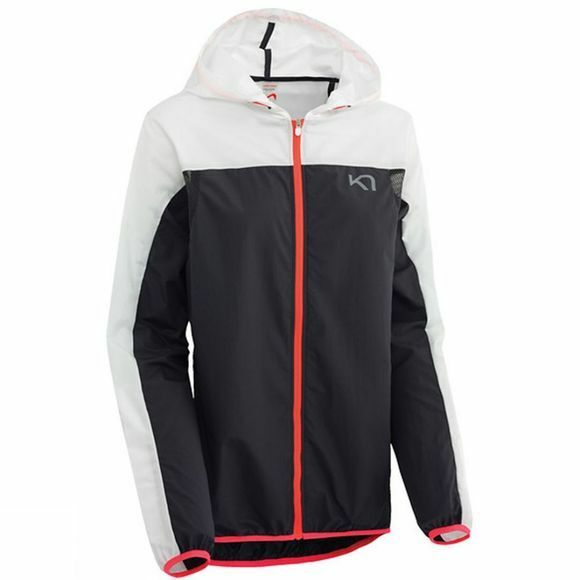 The Kari Traa Marte Jacket is an ultra light and easily packable training layer that you can take anywhere. Good wind resistance and a quick-drying fabric make for high comfort and versatility whether running or training around town. It features an adjustable hood, elastic hems and a secure pocket for small items. Pair it with the Marte Top and Capri for the perfect training trio on your summer vacation. Kari Traa, the fastest growing women’s sports brand in Europe, inspires women to live happier, healthier and stronger lifestyles. A way of life inspired by the founder, Kari Traa, a champion freestyle skier with three Olympic medals to her name. Kari´s story begins in Voss, the small town caught between the Norwegian fjords and mountains, where she was born and raised. Her Norwegian heritage has not only given Kari a talent for sport but also an eye for design and a passion for creativity. Fond childhood memories, the rugged Norwegian nature and a strong sense of Scandinavian traditions are still the sources of inspiration for Kari Traa’s designs.